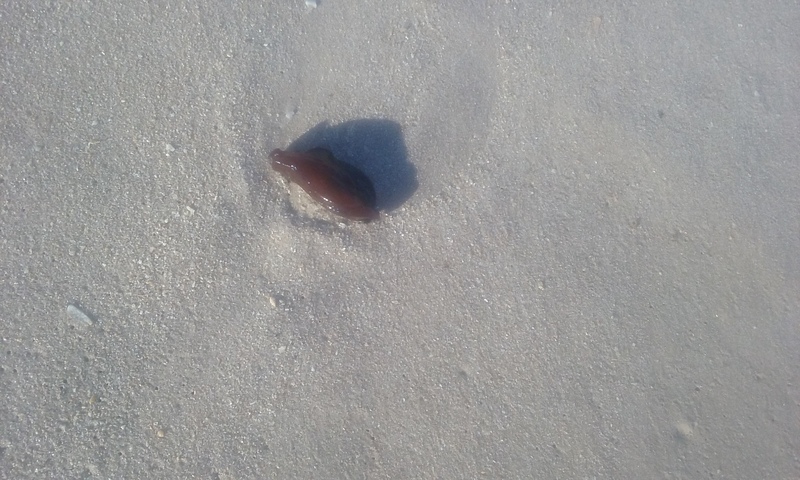 We were walking on the beach at Vero Beach South, FL, and rolling around in the surf and getting stuck in the sand was a dark brown mollusk without a shell, about 4 in. long and 2 in. wide. It was alive and trying to maneuver. It eventually did get washed back into the water, and did not come back into the shore.